It had been a while since I had dim sum with mom. 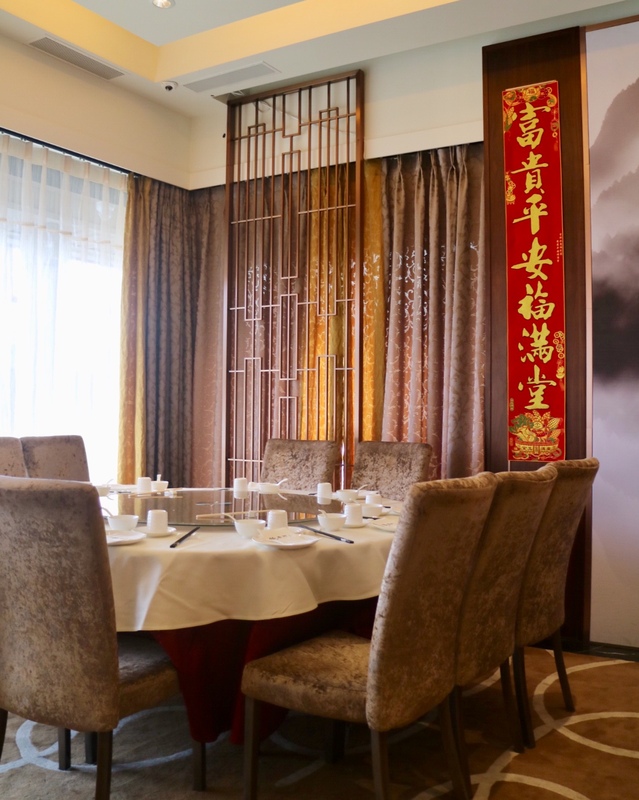 So I decided to take her to somewhere nice and thought of this high-end Cantonese restaurant called Yue. 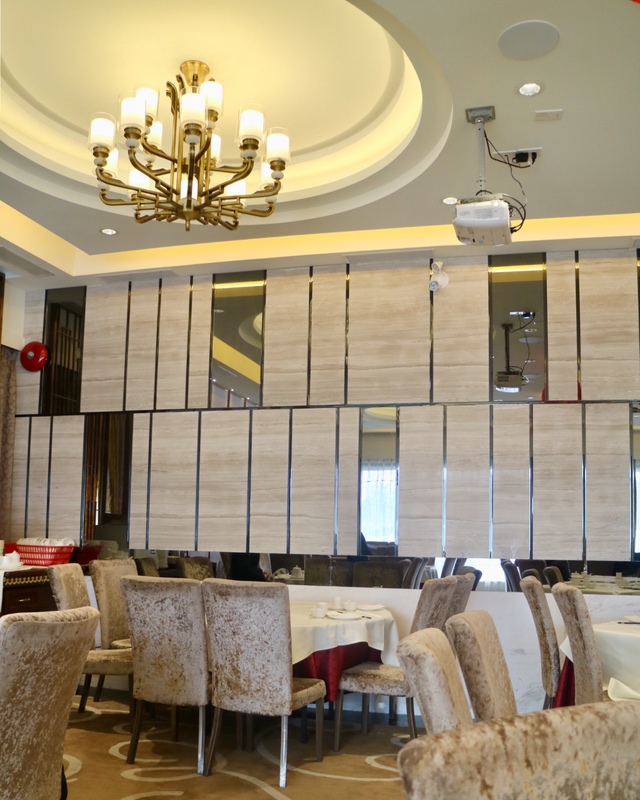 Once called Yue Delicacy and right next to AAA Cafe, it has been relocated down the street to a much bigger property, and now it’s called Yue Restaurant. “Yue” in Chinese is another name for the province of Guangdong, the home to the mostly Cantonese folks. 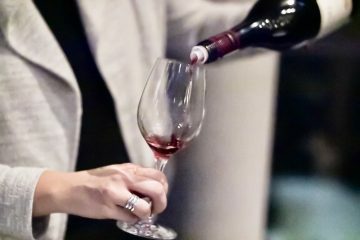 The location was known for the intimate ambiance and the use of high-end ingredients and the Zhongshan influence on their specialty dishes and exquisite dining experience. The new dining room is much more spacious with high ceilings, and it’s bright and super clean. Despite bits of Chinese elements here and there, it gives a modern vibe. However, I thought the old interior design was more tasteful. 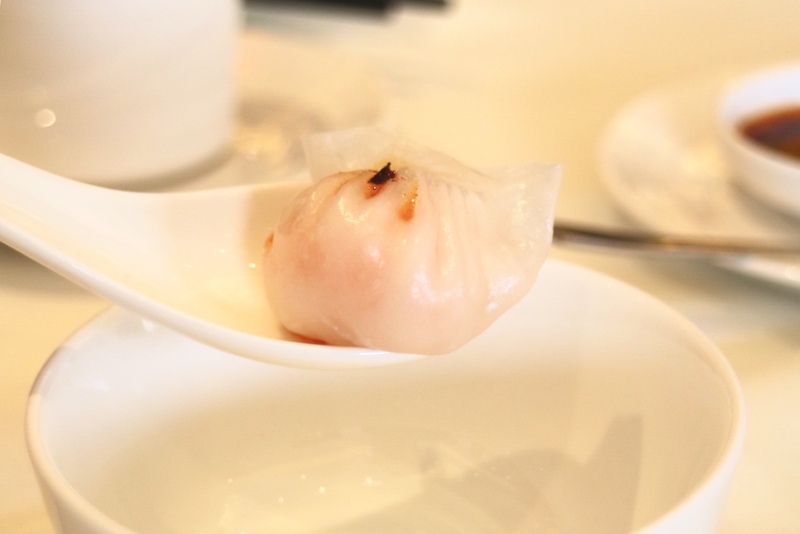 The Har Gow ($6.88) or the Shrimp Dumpling is now a little different. 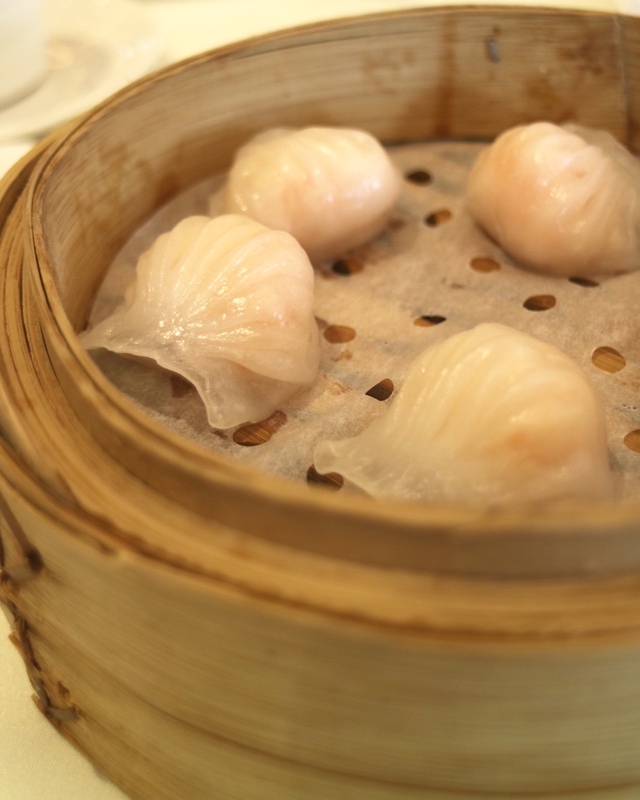 With a smaller dumpling size, it comes with 5 pieces instead of 4. Although smaller, it was bursting with sweet shrimp flavour and has a nice crunchy texture. It seems like they have chosen a tastier type of shrimp but have to compromise on the size. Still, 5 is a really odd number to be shared by a party of different numbers. As usual, I asked for a little bit chili oil to help bring out the fresh and sweet seafood flavour. We rarely order siu mai (steamed pork dumplings) at dim sum. 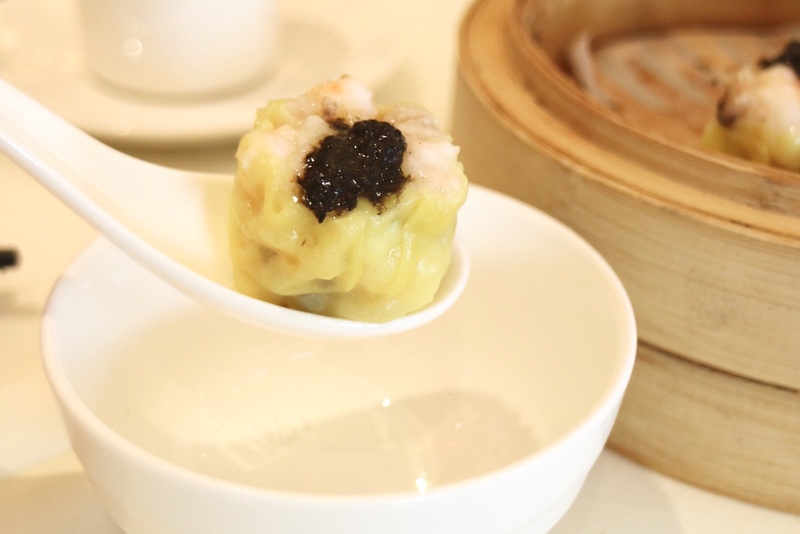 Howeve, I was curious about their Black Truffle Siu Mai ($6.88). 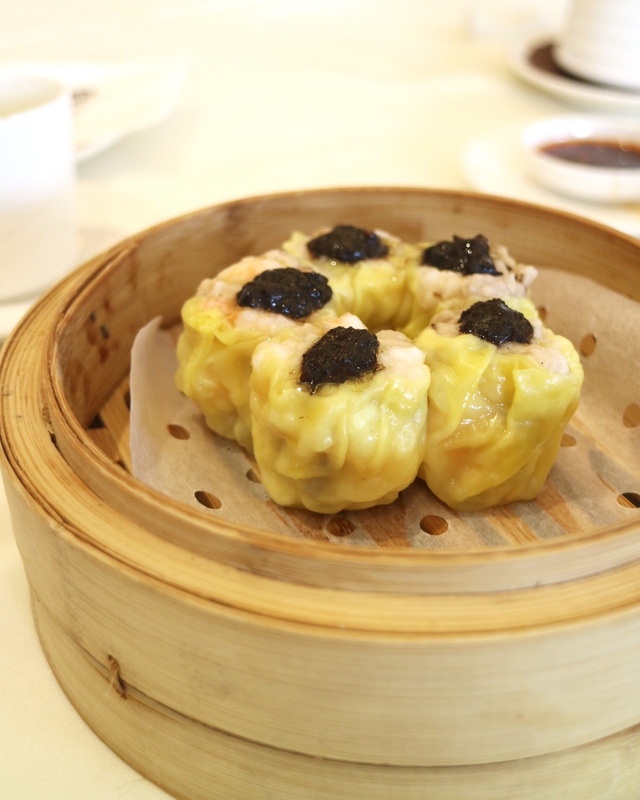 It was just a pork and shrimp siu mai topped with a black truffle sauce. The sauce was earthy and aromatic as expected. Again there were 5 pieces. We also tried the Abalone Tart ($6.88). There is only one small tart in each order and it’s an expensive bite. But it was delicious. 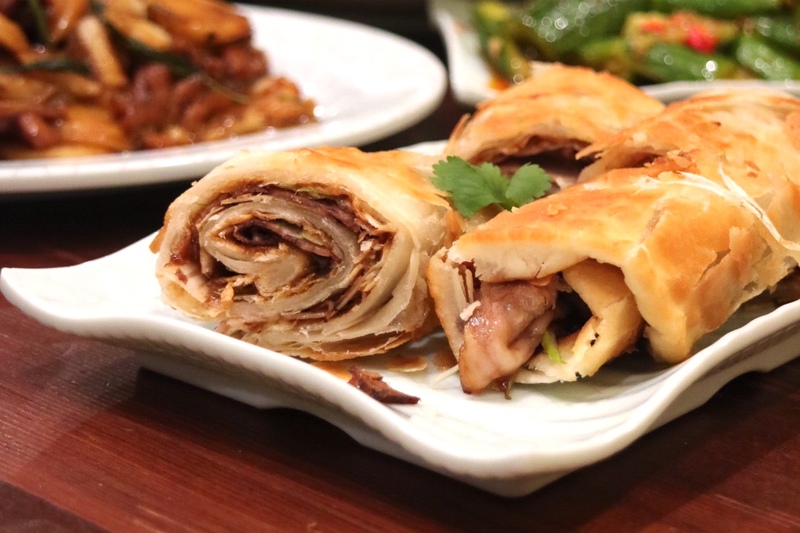 The nicely fluffy and buttery tart shell was filled with thinly sliced and super tender pork belly and topped with a small but extremely tasty abalone. Although a little pricey for dim sum, it was totally worth it. 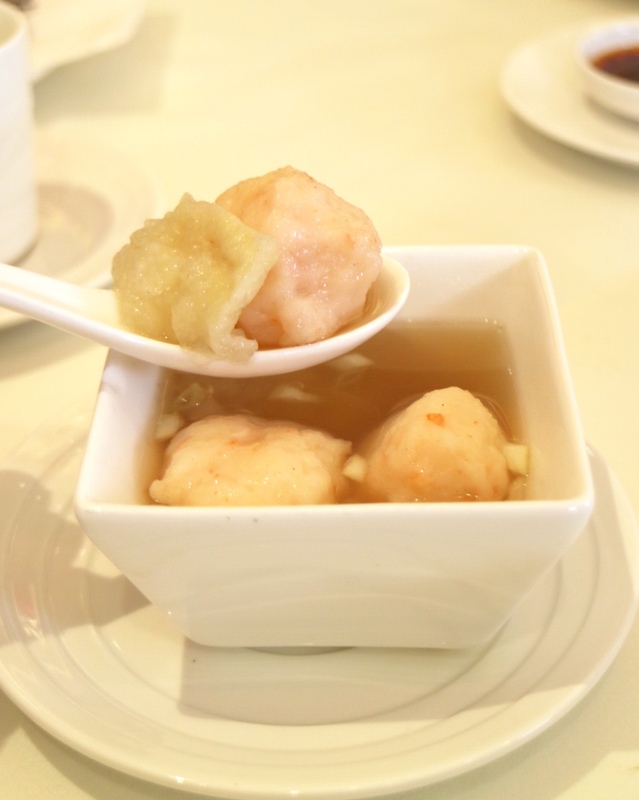 The Shrimp Balls and Fish Maw ($8.38) was pricey for having fish maw, which is highly sought in Cantonese seafood cooking. Fish maw is considered as an ingredient with great nutrients including plenty of collagen. The shrimp balls were good but not amazing. But the interesting part was the broth, it reminded me of the broth in some of the best wonton noodle soups I had tasted. We enjoyed all the savoury dishes, which put us in a good mood for wanting dessert. I’m never a big fan of durian. However today I thought the Fried Durian Balls ($6.88) on the weekly special menu might be interesting. 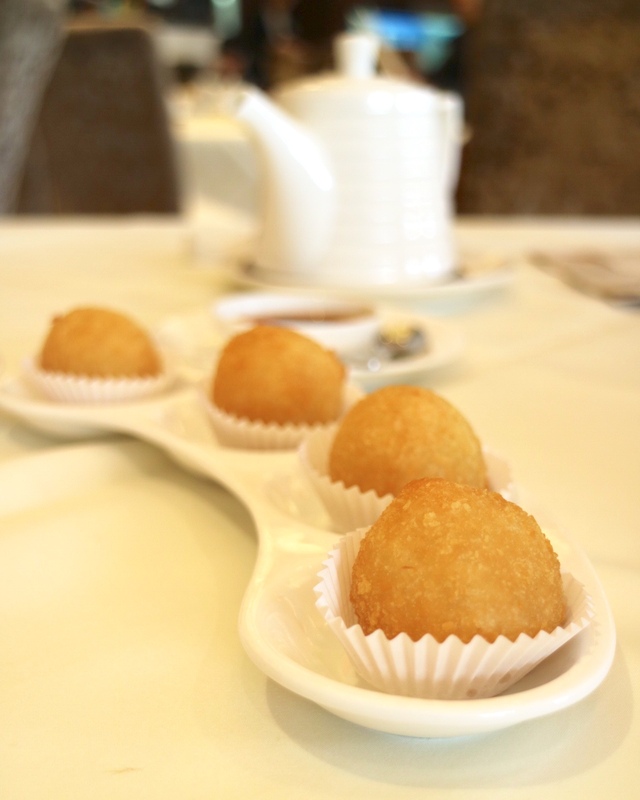 The fried balls are more like fried dumplings filled with a rich durian cream that was very sweet but at a comfortable level. 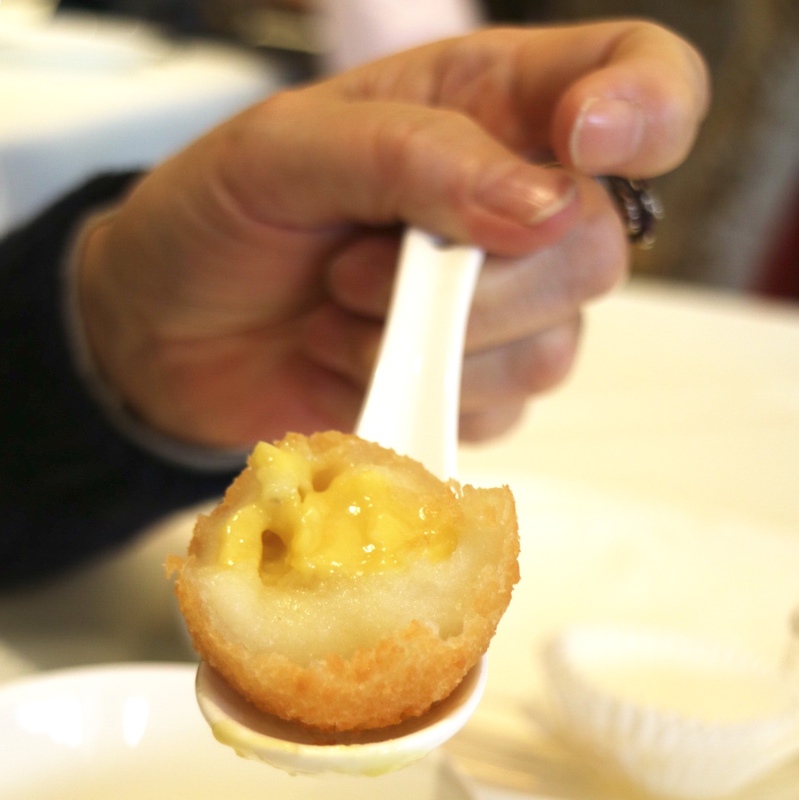 All the dim sum dishes we had were highly recommended: the Har Gow, the Black Truffle Siu Mai, the Shrimp Balls with Fish Maw, the Abalone Tart, and the Fried Durian Balls, which all seem more exquisite than other restaurants. The service was excellent, although tea was not free and costs $1.80 for each person. We ended up paying $46 for the whole meal, and it was not cheap for 2 people. But I think it was all worth it for the upscale dim sum experience. I’ve never had black truffle on my siu mai before. Must investigate!